I did not visit Walt Disney World as a child. My parents took us on a number of wonderful vacations, so don’t feel sorry for me! Still, my first trip to Walt Disney World was at the ripe old age of 27. I now have 3 children who, as of this writing, are 18, 13, and 3 years old. My oldest (Jessalyn) was 7 the first time I took her to Walt Disney World. My middle child (Anyka) was 12, and my youngest (Gibbs) was a month shy of his second birthday. For each of them and for our family, it was the perfect time, but of course, the experiences were vastly different. Jessa was tall enough for all the attractions but afraid of the fast ones like Space Mountain, while her 5 year old friend was desperate for roller coasters but too short to ride. Anyka had to overcome medical challenges and intense phobias before she was able to go, but was (is) still so enamored of the magic that she immersed herself in the experience and fully enjoyed every moment. Gibbs enjoyed running around the playground in the new queueless Dumbo the Flying Elephant most of all, and we were glad to have brought my mom along so that my husband and I could experience attractions while she waited with the little guy. So, you’re trying to decide if the time is right for your child. What are the most important things to consider when making your decision? Here are my top 5, along with strategies for coping if one of these things may disrupt your child. 1. How active are we as a family? The more active your kids are used to being, the better they will do on a Walt Disney World vacation. It’s a HUGE place and there will be lots of ground to cover, and even if you plan a relatively low-key itinerary, with even one day in a park you’re going to be on your feet a lot. If your kids aren’t up to it and you still want to take them, make sure you train them for it by taking family walks in the months leading up to the big day. If you have little ones, consider wearing them in a carrier or putting them in a stroller to take the strain off their legs. Make sure they have well fitting, sturdy shoes that are broken in before you go. 2. What is our schedule like at home? If your kids like to sleep in, make sure you factor that into the planning of your trip. Of course, all bets are off when you’re on vacation, so that little guy who has to be pried out of bed at home might be the one waking you all up at 5AM! It’s best to try and mimic your home schedule as much as you can. If you’re early birds, hit the parks at opening and call it a night after dinner. If you’re night owls, stroll in around lunch and enjoy the fireworks in the evening. Either way, let your kids tell you what they need and make sure you’re ready to be flexible and listen, and adjust plans accordingly. 3. How tolerant of stimulation are my kids? 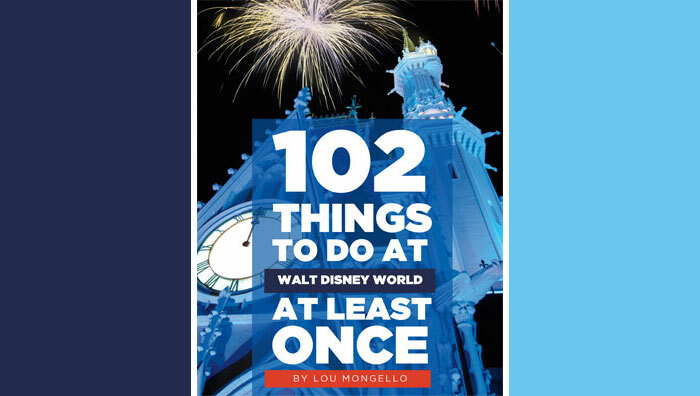 If you have kids who get overwhelmed easily, Walt Disney World can be a scary place. Be sensitive to their needs and spend some time in the many quiet corners of the parks (or better yet, your resort) when they need a little decompression time. Make sure you hold their nap time sacred (a resort bed is much better than a stroller snooze). There are lots of quiet, soothing shows or “open play” areas around the parks and resorts as well, where kids can have some unstructured fun without lines. 4. Does my child have any fears? Anyka was absolutely terrified of characters until she was nearly 12, despite the fact that she knew full well it was a human in costume. Even then, she took a while to warm up to the characters. If your kiddo is afraid of crowds, loud noises (fireworks can be clearly heard from many of the Disney resorts near parks), dark or enclosed spaces then don’t force it on them. Just let them go their speed. No attraction or photo opportunity is worth ruining your day by upsetting your child or getting upset yourself. Use the rider swap or split up your party if there is a disagreement about an experience. Because Gibbs was so little when we took him the first time, I wore him in my Ergobaby carrier and found that he was more relaxed, more patient and happier. If that is something your child is used to at home, keep it up while on vacation! 5. Is my child capable of being patient? We all know that lines are a part of the Walt Disney World experience. Even at off-peak times for park attendance, lines for the more popular attractions can easily be 30-45 minutes each. Your kiddo is going to spend a lot of time waiting. And waiting. And still more waiting. Some kids are great with that and others lose their minds, so make sure you talk to your child and set their expectation correctly. You can also come up with fun games like “I Spy” or trivia questions to play in line. Disney has made a lot of enhancements to the queueing areas in recent years, so many come with interactive elements and games built in – take advantage! A special note about toddlers: they are unpredictable creatures, as anyone who has ever met one can attest. Do what you can, but know that it’s almost guaranteed that your toddler will have an epic meltdown at some point during your vacation. This is not a failure of your parenting. It’s not a promise that your child will have negative memories of your vacation. It’s simply a tiny human letting out some very intense feelings. Like the inevitable Florida thunderstorms, it will pass and your precious angel will be ready to laugh and play again soon. Just remember that your kid will never be the worst behaved person at Walt Disney World. Grin and bear it, and then get on with your fun. No matter what you decide, keep your expectations reasonable and remember that the most important part of your vacation is being together and enjoying yourself. Some of my favorite memories were created by accident or out of less than perfect circumstances. Bring home the good memories and leave the rest in your resort room for the Mousekeepers! I often hear people say “I want to wait for my child to remember”. To them I always say “Then you’ll miss out on your own memories”. We first went when my oldest turned three (my youngest was just shy of one year old). It also happened to be my first time (except for a one day MK visit when I was 12). It was by far one of the best experiences I ever had. My oldest was in owe of the magic from the second we walked right down the middle of Main St, USA. The castle show was happening when we walked in, she heard the princesses and Mickey and just started bouncing with joy. She has seen videos and pictures of her first visit but she’ll never have the memories that my wife and I have. I definitely agree. We took our two daughters last summer at ages 1 1/2 and 3 1/2 knowing that they would do well. We saw many kids older than our own who were having a rough time time with it, but we planned in naps, relaxing time at the pool, and early evenings. We’re heading there again this August, now with three daughters. Great article! 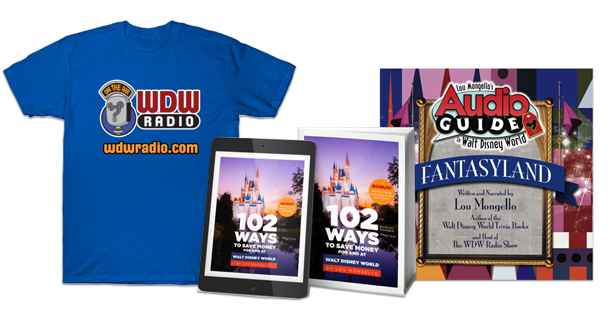 So glad you are a part of the WDWRadio Team/Family!